I could not live without denim. I don't care what it is. Jeans, shorts, skirts, shirts, dresses. Light, dark, medium, acid-washed. Give me all of them! I haven't met a denim I didn't like. I've met plenty of fits of denim I didn't like, but that's a whole other ballgame! Today, I'm featuring the newest piece of denim to my collection. eShakti was kind enough to send this to me and honestly? I think this is my favorite piece I've gotten from them yet! You can see my other two dresses here and here. Also in the second one, I still had my knee brace and walker. What a difference a year makes! Hallelujah! 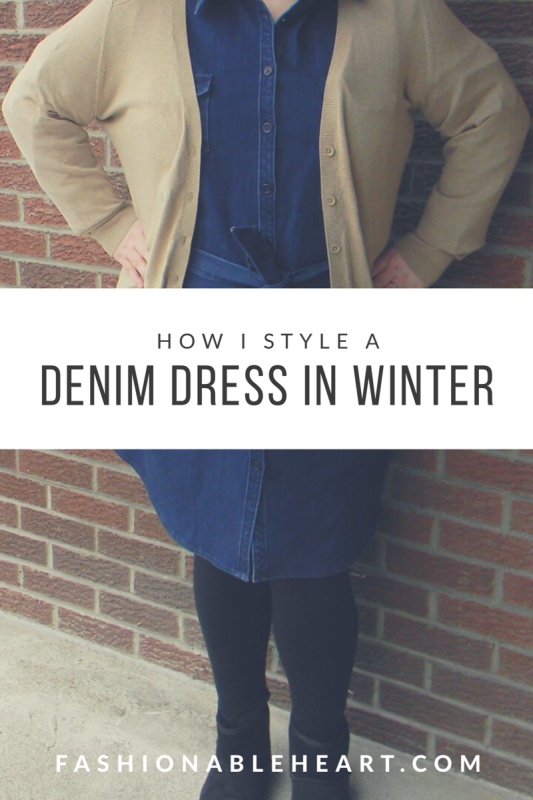 I'm sharing two ways that I change up my dresses and in this case, a denim dress. 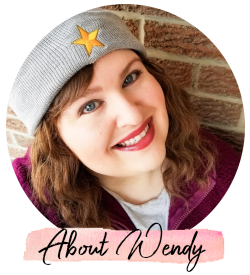 I'll also share another way or two that I would style this and a few current pieces that I am loving that are available at eShakti right now. One thing to know about eShakti is that they cater to a lot of different sizes (0-36!) and you can customize just about every item. Pockets, you guys. 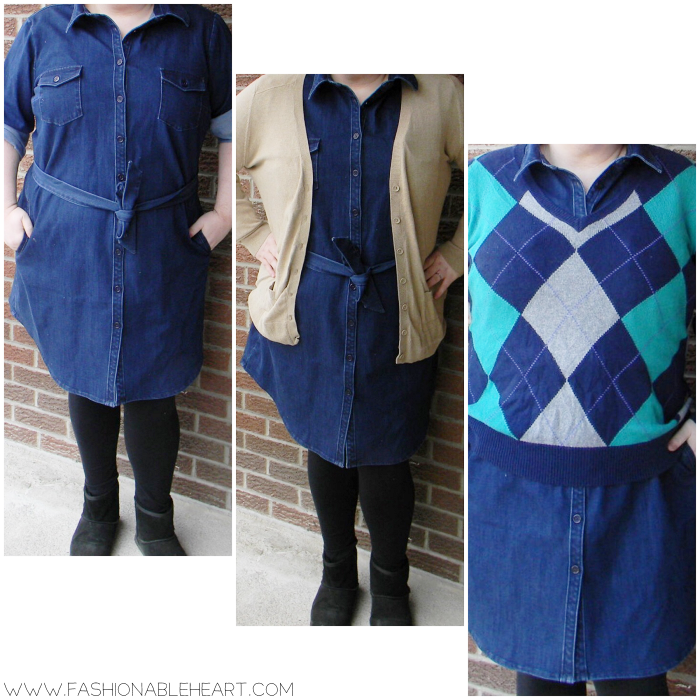 You can add pockets! My dress has long sleeves, but you can roll them up and attach the tab. Because it's winter in Toronto, I definitely cannot get away with wearing dresses with bare legs right now. I usually go for a thick pair of black tights or leggings. And being ever the practical girl, I opt for boots because I'm not ready to slip and fall on snow and ice. One bad fall and a broken knee is enough for me in this lifetime, thank you very much. I do change up the boots though, depending on the look I'm going for. I have a pair of gold ones that everyone calls my moon boots. Whatever. I love them! The other way I style them is what is on top. The cardigan and sweater are my easy ways, but I also like to go for the under layer. Opting for plaid or stripes and having them pop out of the neckline and under the sleeves always adds interest. I like going for a v-neck cardigan because it draws a visual line and gives you a little more shape (and instantly slims you, if you're into that kind of thing). With the sweater, it changes the whole shape and look. It certainly gives you more options in your closet and ways to wear the dress, depending on the size of your sweater collection. 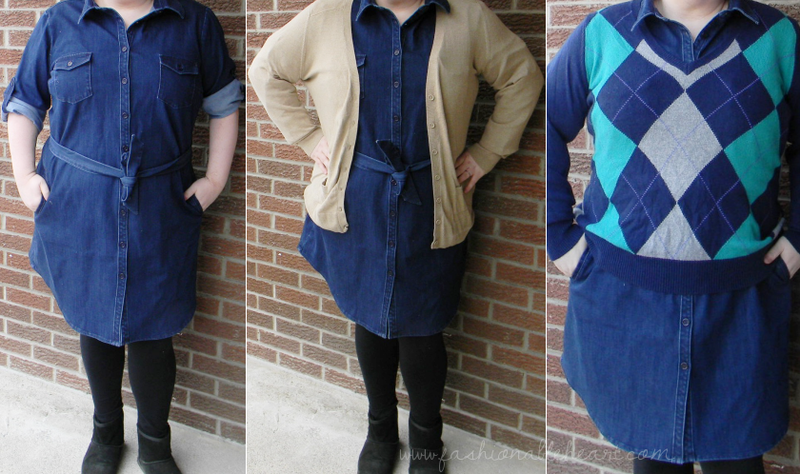 The specific dress that I have is the Deep Indigo Denim Shirtdress with pockets. I love the round hem at the sides for added interest. If I could change one thing, it would probably be to have the belt not be attached so that I could change it out for my own when I wanted to. While the dress has some stretch, I would say it is true-to-size and not to size up. They have some really pretty dresses right now like this constellation one and this heart one perfect for Valentine's Day. And how fun would this one be for a birthday party dress?! They also offer other articles of clothing like skirts, pants, and blouses, but I'm partial to the dresses. Have you tried eShakti before? 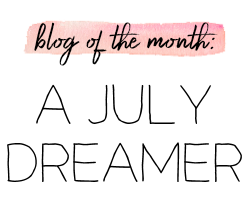 I'd love to hear about your experience and let me know if you check them out!